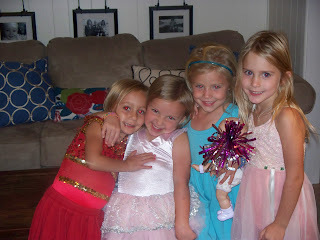 Jessilyn went to her first slumber party this weekend. She had the best time! Her friend Amaris lives down the street from us, plays on our soccer team, and goest to our church. Amaris had a girl party-she invited three little girls and their moms. 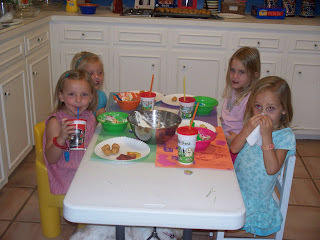 We had dinner (mini corn dogs and friendship salad), made crafts, and had desert. Then the moms went home and the girls spent the night. Cece (Amaris's mom) brought all the girls to church the next morning. 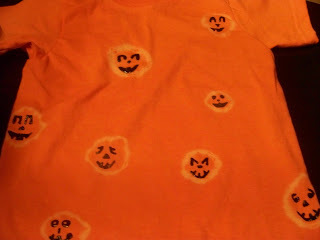 Jessilyn painted a letter "J" and made a tie-dyed pumpkin shirt. The girls were adorable and the mommys had a great time, too. They sent the cutest invitations I've ever seen. Cece let Amaris plan the whole party, so the invitation was in Amaris's own words (in italics), with her mom's translations (in bold). Portions of it went like this: The girls have to be here in like 11 minutes, around noon. Around 6:00. The entire invite went on like this, telling what time, plans, what to bring, etc. Very creative! I must mention that Cece was exactly 39 weeks the night of the party. How brave/crazy is she?!?! Thanks Cece and Amaris for a great night!!! What a great party! I love how the moms were invited for dinner in the beginning...kinda makes it easier for a first slumber party. I'll have to remember that...for one day that is too fast approaching!!! too cute! 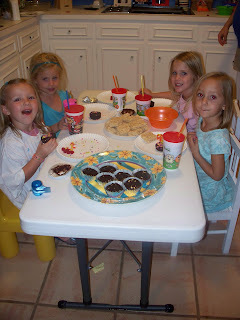 I can't believe Jess is old enough for a slumber party, I am getting old! That is one brave---but creative---mom! This is too cute!! They look like really short teenagers! 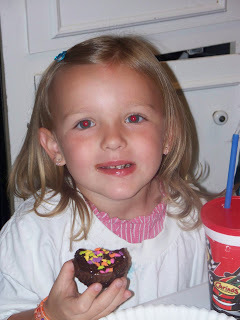 Please give her a hug from Mayce:) Love you guys! 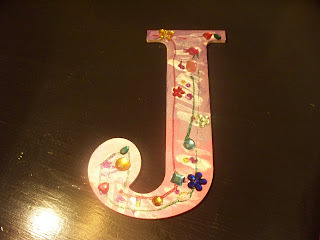 thanks about the blog banner! Sounds like you guys are enjoying Midland and your church! Jenn, can you imagine if I ever tried to have a slumber party like that??? I think it is precious! looks like y'all had the best time!!! such a fun idea! hope you are doing good. your girls are precious!